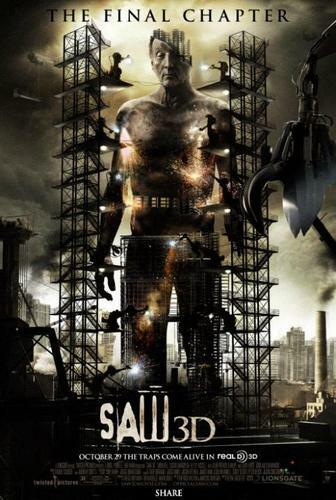 Saw 3D poster. . HD Wallpaper and background images in the Horror فلمیں club tagged: saw 3d saw 7 poster jigsaw tobin bell. This Horror فلمیں photo contains وون and روتیسسری. There might also be وون, روتیسسری, باربیکیو, بار بی کیو, آگ, شعلوں, نرک, and آگ کے شعلوں سے پراسرار.